North Korea sends a Trump-sized missile test across the ocean, Adele and Beyonce clean up at the Grammys, and jazz legend Al Jarreau dies at 76. The annual Opening of Parliament has gone from an event of national pride and pageantry to an undignified fiasco. It is just another thing that the wrecking ball that is the Jacob Zuma Presidency has ruined. If a president has to hide behind armed troops in order to face the nation, perhaps he should not be doing so at all. 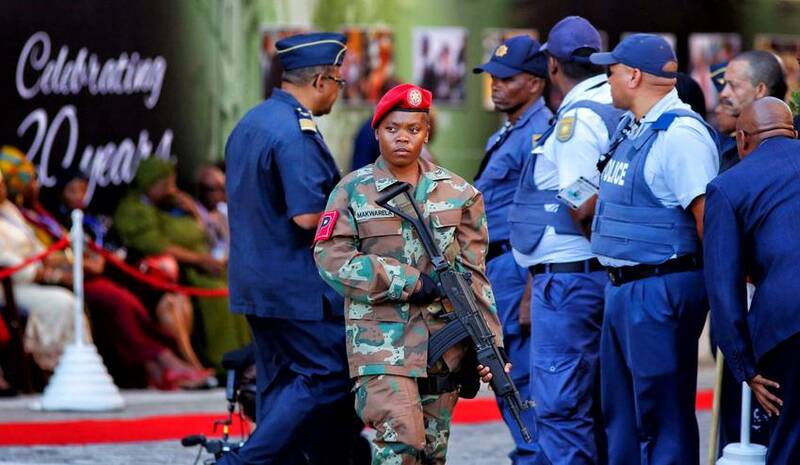 At this rate Zuma could roll up to the entrance of the National Assembly in a military tank next year and, perhaps the year after, the Special Forces will do an aerial manoeuvre to drop him at the podium in the House. Or maybe a hologram Jacob Zuma will pummel us with a 5,000-word treatise. North Korea announced today that it had successfully tested a ballistic missile. Launched on Sunday, the Pukguksong-2 medium range missile travelled roughly 500km before plunging into the Sea of Japan. The launch has been seen as a direct challenge to President Trump, and possibly South Korea’s interim president. Adele, Beyonce and the late David Bowie all received top honours at the Grammys this year. Adele nabbed a total of six Grammys, ranging from Record of the Year to Best Short Form Music Video. David Bowie’s Blackstar, his final album, was awarded Grammys in all five categories in which they had been nominated. Bowie had previously won just a single Grammy. Al Jarreau, a seven-time Grammy award winning jazz artist, has died just days after announcing his retirement. Jarreau died in a Los Angeles hospital after being treated for fatigue. The artist had long suffered from exhaustion on tour and had announced his ceasing of all tour activity last week. Jarreau had just been honoured by President Barack Obama during an International Jazz Day ceremony. Madeline Stuart, a 20-year-old Australian model with Down Syndrome, has smashed stereotypes by debuting at New York Fashion week. Launching her own label, “21 Reasons Why”, Stuart has announced that the clothes are all her and her mother’s own designs. 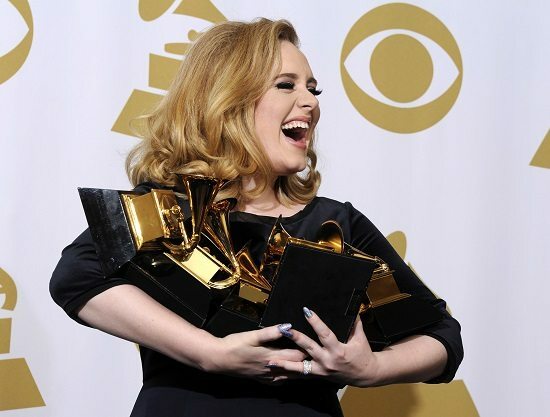 Adele holds up her Grammy Awards in the Press Room at the 54th Annual Grammy Awards at the Staples Centre in Los Angeles, California, US, 12 February 2012. Adele won six Grammys for Record of the Year, Album of the Year, Song of the Year, Best Pop Solo Performance, Best Pop Vocal Album, and Best Short Form Music Video. Th minimum number of Germans, many of whom were Nazis, recruited by the United States after WWII. In comparison, the Soviets recruited over 2,000, many at gunpoint. Today is World Radio Day. It’s that thing that you listened to in your car before aux cables and Bluetooth. A candle’s flame in zero gravity is round and blue. Zuma has found his legacy: Is it not too late?